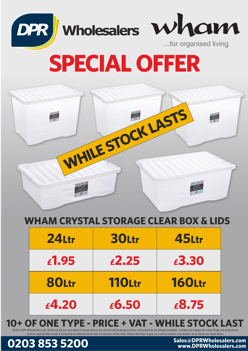 We have a very special promotion on Wham Crystal Storage Boxes & Lids. This is a volume offer, so you need to buy 10 or more of each size to benefit from this promotion, but at these prices you’d be daft to miss out, and they are already selling fast. 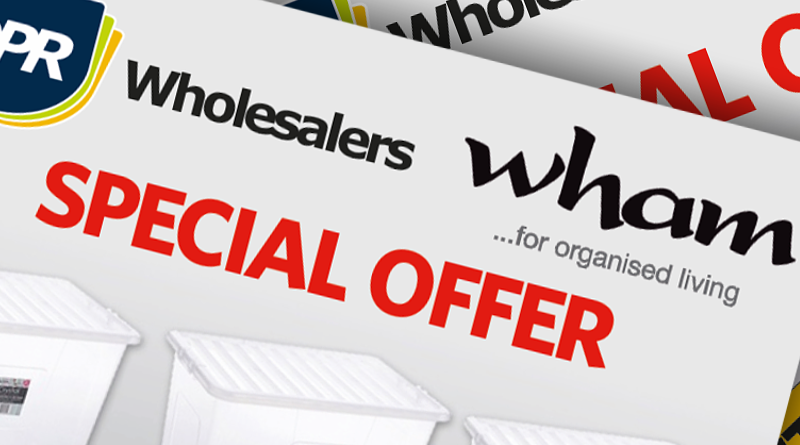 Don’t delay – once they’re gone, they’re gone, so get organised!